Jump on in folks! 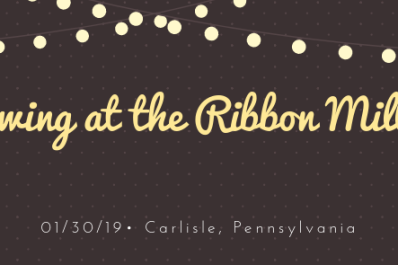 We will be holding our premier Swing Dance with late-night blues at the Carlisle Ribbon Mill. 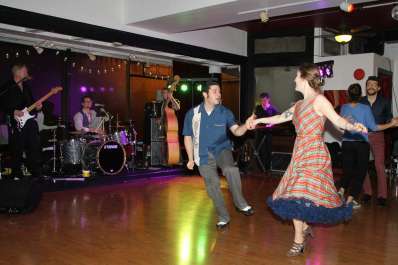 Dances will be held every 3rd Wednesday of the month. Additionally, we are jazzed to bring you 2 group classes filled with exciting material! You do not need a partner in order to take a class. All ages are welcome. 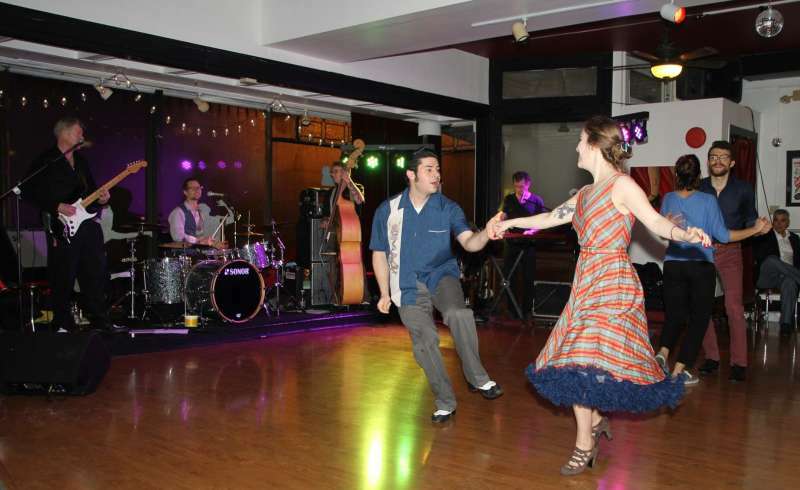 As per the other monthly dances in varying locations, group classes are $10 each. If you take both classes the social is free. If you attend just the social, the cost is $5. Refreshments kindly provided by the venue. The venue is temperature controlled with beautiful wooden floors and lovely hanging lights. Parking lot as well as street parking available. We invite you to help us make this a shining home for dancers and to grow the local Carlisle community! Don’t worry if you’ve never danced or visited before! Our facilitators for the evening are there to make your first social dance experience amazing! Whether you are a first-timer or you know the ropes, we want YOU to dance with us!!! 1) We strive to cultivate a community that celebrates diversity. We are happy to welcome all ages, genders, races, ethnicities, and people of all sexual orientations, lifestyle choices, and dance level and background to our classes & events! You do not need a dance partner, we encourage, but also teach etiquette in socialization. We are family friendly! 2) Our dance lesson caters to the style of the event and works to integrate the newest dancer in the room while not forgetting the more skilled student. There’s something for everyone. If you are interested in progressive classes, please join one of our 6-week series in York. We encourage you to take a few drop in style classes before joining a series. Music is a variety of traditional 30s-50s, exceptions are noted. Feel free to bring a song request to the DJ! 3) What to Wear: Come casual or dressed up! You may want to bring a change of clothing if you get sweaty. The best shoes are low to the ground, secure on your feet, and without too much tread! 4) Minimal snacks provided, water available; you are welcome to bring your own. 5)Parking: There’s free parking in a lot and on the street. 6) How to Pay: Payment is cash or card, card subject to $1 fee. 7) You can find our code of conduct and house rules on the bulletin as you enter!